Our weeknights were once again braced with the magic of the Barclays Premier League with all 20 teams in action on 3-4 March. The race for top-four heated up with all involved teams winning, while controversy surrounded many games be it a spitting incident or manager bust-up. Here is the information for all 10 fixtures featuring recaps for each game. A controversial meeting at the east of England would finish a goal apiece as Gus Poyet was sent to the stands, while his player Jack Rodwell stole the headlines with a late goal in which the ball appeared to strike the hand of the Englishman. Things would be heated from the get-go, as Dame N'Doye scored a terrific backheel past Pantillimon to put the Tigers in front off a free-kick delivereed in by Huddlestone. An irate Sunderland manager in Poyet though would react frustratingly towards the referee after Rodwell was booked. Managers Bruce and Poyet would have to be separated as the Hull manager, "baffled" as he described after the game, with the Uruguayan approaching him and forcing a restrain from the staff nearby. As Poyet watched on in the stands, Sunderland grew into the contest, before Rodwell got the equaliser. McGregor was out of the equation as the ball scraped off his arm right on the line. Sunderland easily could've went further and took the lead only for Rodwell volleyed into the stands, and the game finished as a draw. St Mary's Stadium, Southampton, England. 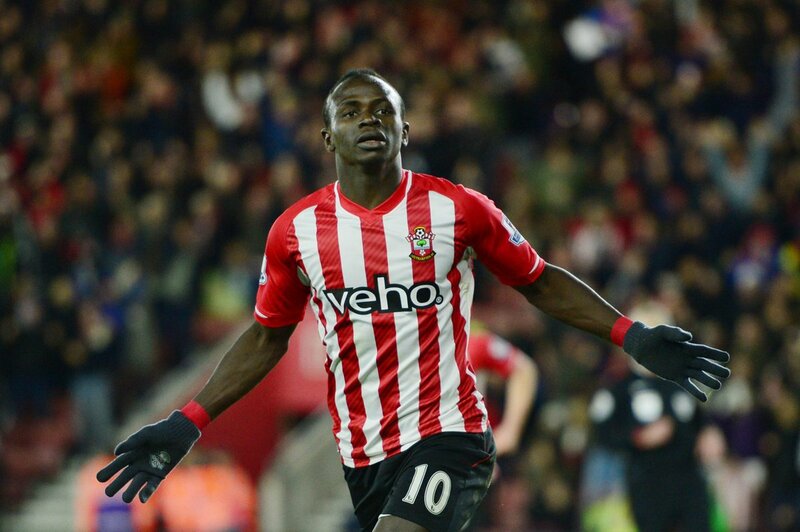 Sadio Mané rescued a below-par Southampton with a late strike as the Saints' ended their home goal drought and got a much needed three-points to take into the race for a top-four spot. Alan Pardew's Crystal Palace threatened early as Wilfried Zaha rattled the woodwork, while Koeman's side came anything but close, including the goalscorer Mané relinquishing many huge chances. Ward-Prowse and Tadic's introductions shifted the game in favour of the hosts, and the former went on to test Speroni, who could do nothing but parry it back to Mané who chipped it over accordingly. Tim Sherwood claimed his first win as Aston Villa manager as the Claret and Blue edged West Bromwich Albion in a thrilling midlands derby. 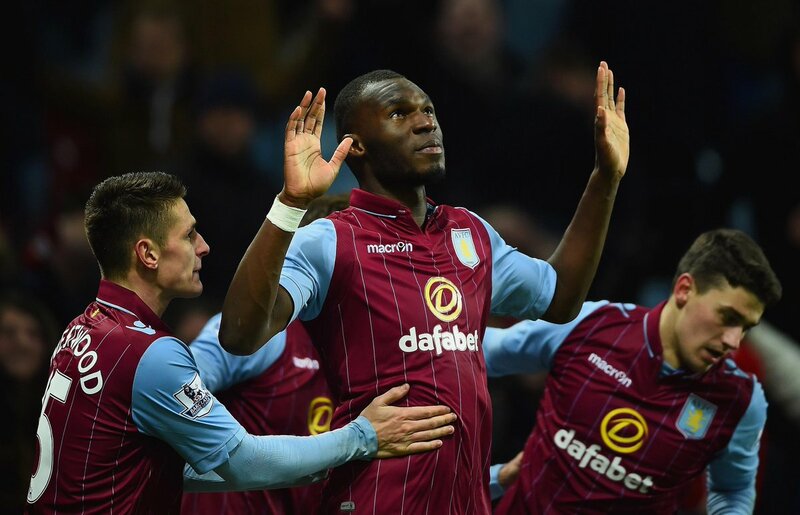 Agbonlahor ended a dry goalscoring spell by combining with Benteke, who helped on Guzan's long-ball, before his teammate slotted it under Ben Foster who had a woeful game. Minutes earlier, Agbonlahor thought he had scored as Foster fumbled the ball, but goalline technology revealed the odds, by the smallest of margins, in favour of the travellers. Saido Berahino however would put the chance of a win in jeopardy, after Delph hit the post. Berahino raced to meet Brunt's delivery as the game was evened. But, some rash decision making by West Brom's keeper would surrender a golden chance. After fumbling again, he took down Lowton before Benteke calmly converted a crucial penalty to set Villa Park rocking and keep their safety hopes alive and beating. Manchester City bounced back with a convincing win over Leicester City as David Silva and James Milner helped the Citizens tiptoe past the Foxes at the Etihad. On the stroke of the half-time whistle, David Silva was superbly stopped by Wes Morgan's block, but as the ball trickled out to the Spaniard, he swept it away from close-range. Nigel Pearson's side were furious at a penalty decision that didn't go their way, as Kramaric was tripped by Fernando. City's nerves were shaking as violently as the post was too, when Mahrez rattled the goal with a fine effort. But James Milner's simplistic finish, a side-footed shot, would stamp out the visitors' hope as they kept their small glimmer of a title bid alive. Following a tentative first-half, Arsenal put on a strong display to vanquish fellow-Londoners Queens Park Rangers at Loftus Road. Arsenal seemed taken aback by a strong first-half start from QPR, in which David Ospina was forced to thwart them time and time again. The Gunners did respond strongly though with Olivier Giroud breaking the deadlock after an hour of play. Scoring a fifth goal in as many games, the Frenchman poked home on the rebound of Kieran Gibbs' attempt. Alexis Sanchez then returned to goal-scoring form doubling the lead 5 minutes later by beating Green at the near post. The Chilean would also miss a sitter in the game. One of the other star-performers in the season though, in Charlie Austin, would claw back some hope, but ultimately no points. Austin drilled past Ospina to rupture the clean sheet with 8 minutes left in regulation, but they couldn't quite get all the way. A costly error from Tim Krul gifted Manchester United and Ashley Young a vital winner as they prevailed in a tough game in Newcastle. More of the events stealing headline space were the Evans and Cisse incident. The two players appeared to spit at each other after things boiled over in the first-half. On a lighter note though, Jonas Guiterrez came on for his first game in 17 months, after beating cancer. Substituted too was Angel Di Maria, who was off the radar for his hour of football played. Krul made many saves early but it was Smalling who took a huge sigh of relief after he was let off in a penalty appeal. His challenge took down Riviere in the area but it wasn't given. The Dutch keeper would not deal well with Abeid's backpass, slipping it to Young who kept his composure to score a huge winner as an elated Red Devils kept their hopes, albeit limping over the line, alive for Champions League football next season. Everton suffered another setback to their miserable season as Moses and Diouf scored on either side of half-time to steer the Potters to a victory at home. A firm header from Victor Moses to cap off a strong cross from Bardsley opened the scoring to accelerate them out of a slow start. Martinez clearly urged his men to work more in the second and they did to a certain extent, with Lukaku firing a whisker wide, but they would soon fade allowing the hosts to seal the game. Lukaku would squander possession and a counter at full pelt ended with Arnautovic hitting the post before the ball ran out to Diouf who finished for the second goal. Tottenham picked up a crucial first win in six league games as they kept one step ahead of a strong Swansea at White Hart Lane. Nacer Chadli opened just 7 minutes in, but there would be concern for all players and spectators when the Swans' striker Bafetimbi Gomis collapsed on the pitch. After receiving treatement he would be stretchered off, before Ki Sung-yeung found an equaliser to level the game by the interval. Spurs made clear changes to approach differently for the second half, and it worked. Mason fired over the oncoming Taylor's challenge to find goal, before 9 minutes later, Townsend would sweep in to make the margin two-goals. However, it would be a nail-biting climax as a fine volley from Sigurdsson gave the Welsh side some hope, but Pochettino's side held on. Eden Hazard's lone goal powered Chelsea to a win against the tough Hammers. Having to earn their win with a hard-fought display, Eden Hazard would ensure they kept five points clear at the top of the table with a swift header from Ramires' delivery. The provider of the first goal saw his shot terrifically thwarted by Adrian to start the second half, as the Blues—having one the League Cup on Sunday—couldn't put Allardyce's side away. The Brazilian was just not having his day as another effort cracked the post. Sakho and Valencia had chances to swing the game around but their finishing lacked quality to beat a strong Courtois in between the sticks. The full-time whistle capped off a strong performance by both teams in which Chelsea fought harder for. Liverpool extended their unbeaten streak to 12 as they pushed aside Burnley at Anfield, thanks to goals from Jordan Henderson and Daniel Sturridge. Stand-in skipper Jordan Henderson had a go from long-range after the ball came at him from a rebound and it found its way through the network of bodies to give the hosts the lead. Burnley sturggled to make things uncomfortable for the Reds, while Heaton was forced to stop Sturridge within 30 seconds after Liverpool exploded out of the blocks. Daniel Sturridge struck early in the second phase to draw any hope and competitiveness out of the contest, as the skipper found him for a headed finish. Manchester United, Southampton, Liverpool, Arsenal and Tottenham are all victorious - the race for top-four just gets better by the week. There's hope for Villa in relegation but the newly-promoted teams all sink again. As for the title race, Chelsea move one step closer to sealing it, with their win keeping them five points ahead of the pace. Safe to say its been another cracking gameweek in what is shaping up to be a memorable season. More: Top-four slipping out of Saints' grasp? Recapping the 10 Premier League fixtures contested on 3-4 March 2015.